Posted byJoelRieves	 November 11, 2015 December 21, 2016 Leave a comment on Much Ado About Nothing? On Monday, I weighed in on the Starbucks holiday cup controversy that, it turns out, isn’t all that controversial. At least, that’s what some folks are trying to say. 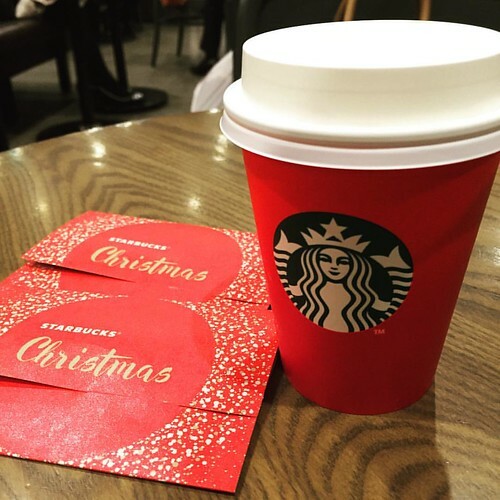 Conservatives are claiming that no one is upset about Starbucks decision to go with an unadorned red cup this holiday season in place of the more Christmas-ey versions from years past. And, at least one progressive voice has said the whole thing is “much ado about nothing.” Of course, it is; the statement “much ado about nothing” is the most accurate descriptor used for the Right’s “War on Christmas” since the damn thing began. But, does that phrase apply to the cup story? That’s a good question, so let’s see if we can come up with an answer. In a post on his blog, “The Holy Kiss”, Roger Wolsey says, “It seems that the ONLY conservative Christian who was upset about it was a “pastor” whose primary ministry is posting self-glorifying rants on YouTube.” Well, not exactly. You see, in a follow-up to the Breitbart London article that spawned this “nontroversy“, Tory MP David Burrowes said the cup’s design was most likely a bow to “political correctness”. And, the Christian Institute’s Simon Calvert asked “What is it about Christmas that Starbucks are afraid of celebrating?” adding that “They should get involved and stop being Scrooges.” A Buzzfeed article also included screenshots of tweets from regular folks who were less than pleased, most of them showing their displeasure by expressing an intent not to spend any money with the chain. Granted, this doesn’t add up the “movement” Feuerstein hoped to generate, but it’s not exactly “nothing”. Conservative media hasn’t been silent on the matter, either. The New York Daily News ran an article quoting student pastor Nate Weaver, who wrote on Facebook, “I’m officially banning Starbucks from my life”. Of course, most of the conservative offerings seem to be an attempt to downplay the matter. The Federalist, The Blaze and Right Wing News have all run pieces laying the whole thing at the feet of Feuerstein and claiming that no one is actually upset about it. Which, as I’ve just shown, is not strictly true. Of course, publications like these wouldn’t trash a story because it makes conservatives look stupid, would they now? Interestingly, The Blaze’s piece says the “controversy” hardly represents “conservative Christian thought, or any thought in general.” It then goes on to say that it was “invented by anti-Christian bloggers and cable news personalities, aided by the work of one or two convenient patsies, and designed to make all Christians look weak and ridiculous.” That’s eerily similar to Bristol Palin’s comment that the whole thing was “an attempt by the LEFT to make Christians look stupid.” Yeah, as if Christians need any help looking stupid; we’re doing a fine job all by ourselves. Whether this tempest in coffee cup is an actual controversy or an aborted attempt by an attention whore to get people to…, well get attention, what it is not is an attack on Christmas or Christians. Starbucks still sells a coffee they call “Christmas blend” and they still sell the same seasonal drinks (aka flavored sugar-water that has been in the same building as actual coffee). They still sell Advent calendars, gift cards that say “Merry Christmas”, even Christmas tree ornaments (although, it is a representation of the hated red cup, so maybe I shouldn’t have included it). But, this whole stupid mess is indicative of the farcical exercise known as “The War on Christmas”. Which, as I said at the beginning of this post, is most definitely “much ado about nothing”.